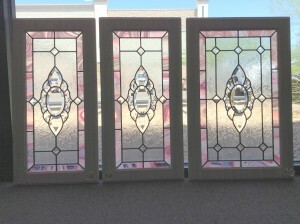 We stock many styles of architectural glass for cabinet doors and we have many more samples that can be supplied within days. 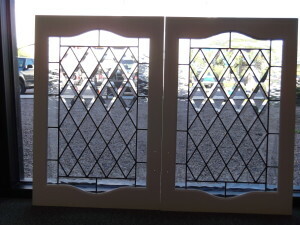 We offer routering services to remove your old cabinet door panel and then we will cut the new glass panel to fit and install the replacement cabinet door glass panel if desired. 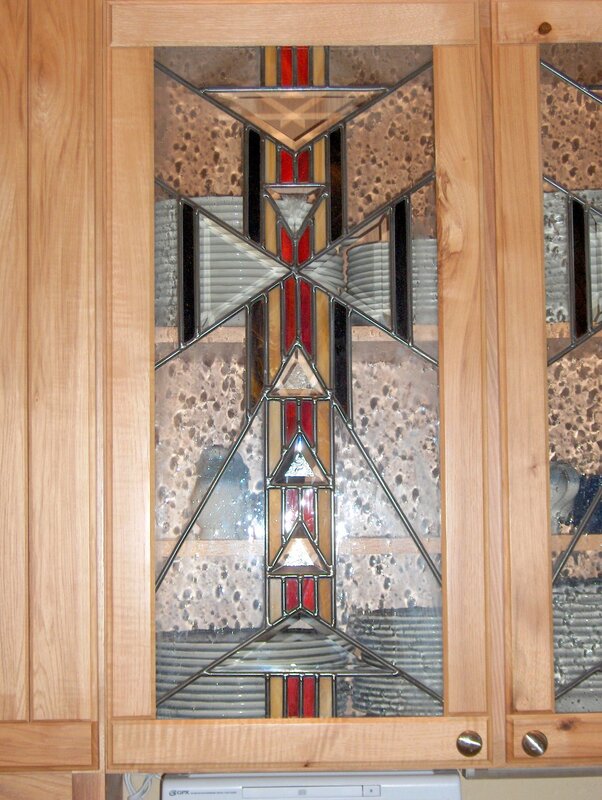 Please come in and look through our large selection of samples to pick out your replacement glass and make your kitchen cabinets look brand new. 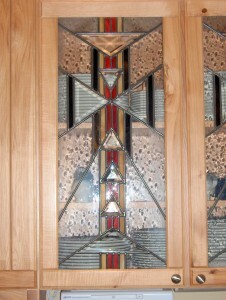 We can also help you to design custom cabinet doors using stained glass to construct them.